As you might know by now, I am a big fan of superfoods. They’re tasty, healhty and look great on photos ;). 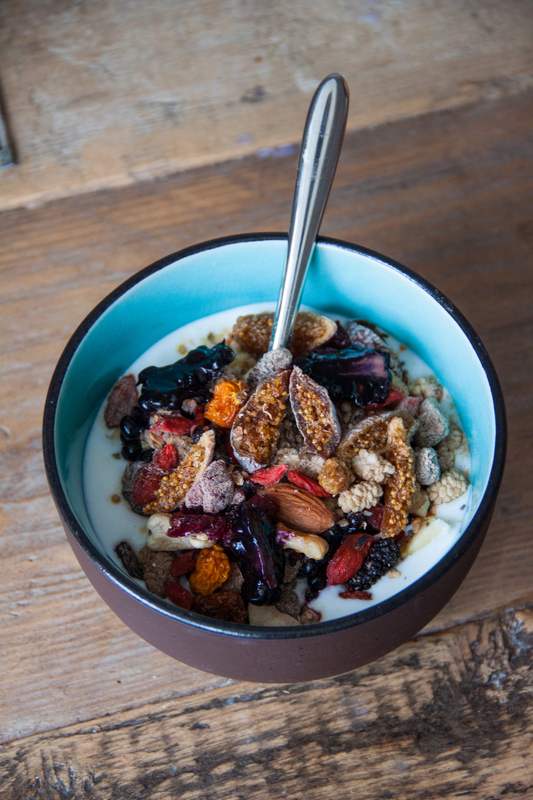 This previous blogpost shows you how to make your own home made superfoods granola. 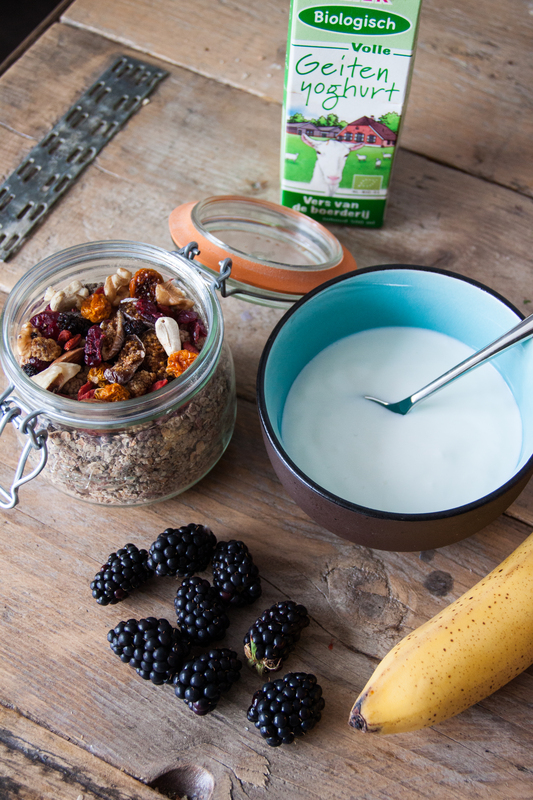 Granola tastes – in my opinion – the best with fresh farmer’s yogurt. My body doesn’t really like cow’s milk or yogurt and so I try to replace this with nutmilk as much as I can. Some months ago I tried goats yogurt for the first time. I really really liked it so I did some research on it. I was happy to find out that goats yogurt is actually much healthier than milk dairy, because it is easier to digest (read more about that here). 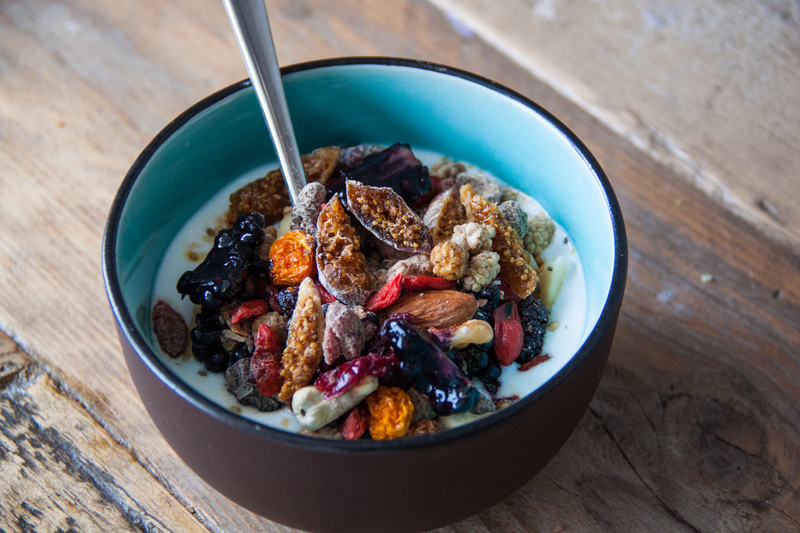 This beautiful breakfast keeps you going all morning. Like I always say: feel free to experiment with different superfoods and fruit. Enjoy! He Rosalie! Waar koop jij je superfoods!? Ziet er geweldig uit! Hey, bij o.a. Ekoplaza, Marqt en via online shops zoals notenstore.nl. Succes ermee en bedankt :).